Whilst I generally agree that makeup brushes are worth investing in, you can occasionally find surprisingly good brushes at High Street prices so I was intrigued to try the new range from Models Own. I was sent the Mini Brush Set, which retails at £10 and a Foundation Brush, £8 to try. 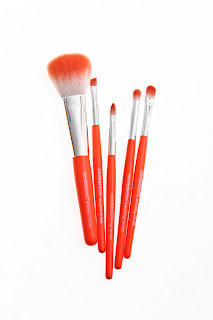 As soon as I saw the brushes, I loved the bright colours- really different, fun and in keeping with the brand ethos of experimenting with colour. The foundation brush is good enough but personally, I prefer my foundation brushes to be a little stiffer as I find that easier to work with. I liked that the plastic pouch has a ziplock along the length rather than having to fiddle with an opening at the top and this is replicated on the 5 piece brush set. I tend to veer away from brush sets as a general rule as I feel that the quality is usually compromised (the main exception to this which I've found is EcoTools). Whilst you can definitely tell that these are budget brushes, I felt that they've been executed well for the price. 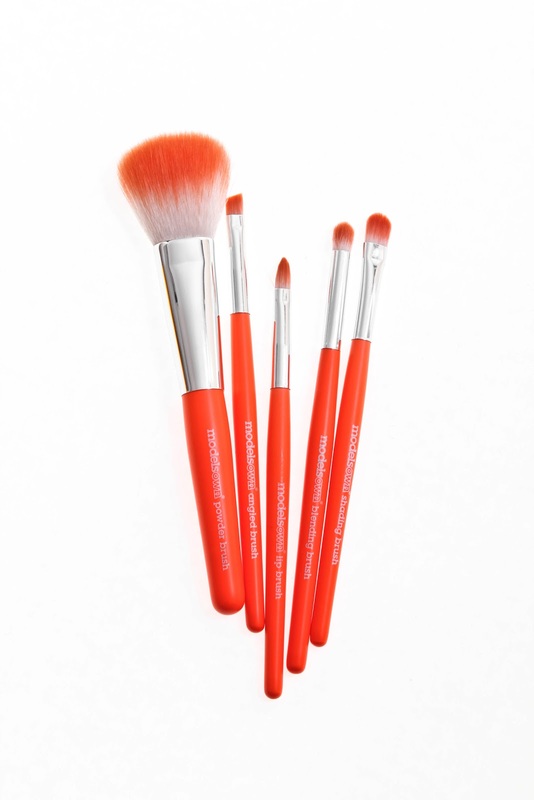 The set comprises a powder brush, lip brush, shading brush, angled brush and blended brush. I particularly liked the angled brush. These won't be replacing my favourite premium brushes but they're certainly a good start for someone beginning to build a kit on a budget & I also feel that they'll make fab stocking fillers come (dare I say it?) Christmas time.